It was a bright evening and the time was 18:30 IST , Kushal told “Let us write a bigger project part by part then,What about a static blog generator?” And I was like feeling like wow I’ll be making a static site generator like Jekyll by what I was thinking to host my site in github. Though the job is not easy enough because a static site generator can not be made overnight. But I was almost done with an Initial step to static site generator i.e, converting a markdown file to a html file. Kushal introduced us with markdown2 module of Python3. Markdown2 belongs to pypi which is the official third-party software repository for Python Programming Language. Markdown2 is a text-to-html filter that converts plain text formatting to HTML which fulfills one of the most important features of a static site generator. Change the package manager according to your Linux distro . The first problem given by Kushal was to write a program “Which will read a given markdown file, and generate a HTML file in a given path”. 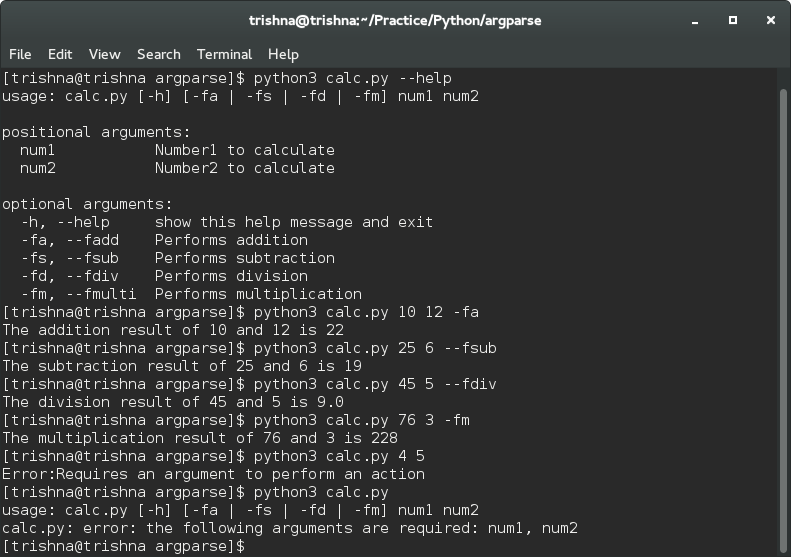 After going through my code Kushal said, “Looks good”. And he shoot an another problem that took longer time to solve. He told to write a program “Which will search for .md (markdown) files in a given directory, and finally convert them into HTML files in another given directory”. Creating the HTML files in another directory was like hammering in my head . I was almost done with the problem with some parsing issues. SanketDG helped me to solve the errors I was getting, so thanks to him 🙂 . Thanks OS module for your awesomeness 😉 . I thinks I should stop writing now 😛 . Keep an eye on github/trishna_g . I’ll be contributing a project on static site generator very soon 😉 .